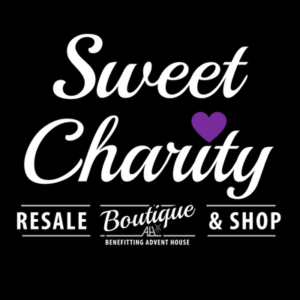 Sweet Charity Resale Boutique & Shop was conceived to provide a consistent source of funding to support the work of Advent House, a home serving the dying since 1991. Advent House is an outreach ministry of Perinton (NY) Ecumenical Ministries (PEM) and all proceeds from merchandise donated to Sweet Charity benefit this essential work in our community. Downsizing? Kids on the move? Furnishing a new apartment or second home? Think Sweet Charity during life transitions and everyday shopping. We offer a tremendous selection of unique furniture, rugs, lamps, art work, home furnishings, decor, jewelry and kitchenware at amazing prices. Donations gratefully accepted at our easy drive up location on the west side of the plaza on Wednesday through Saturday 10am-3pm.